Having the right gear for traveling is key. When doing day hikes and multi day hikes your equipment goes down to the essentials. 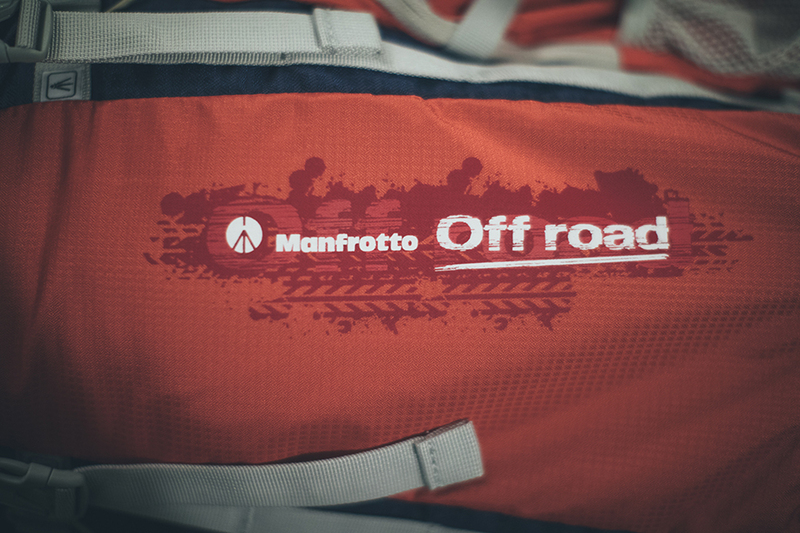 Most important gear first: tent, sleeping bag, stove, food, water. Now your backpack already is heavy but as a photographer there will be some kg’s coming on top! Camera, lenses, batteries and of course a tripod. You’re pretty much fixed with the weight except of one article – the Tripod! 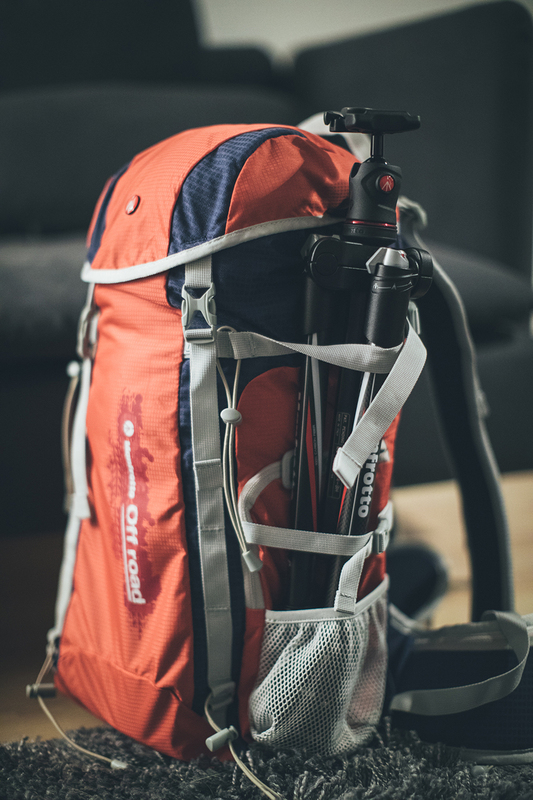 No one wants to end up hiking with a 5kg tripod for several km, thus lighter solutions are getting more and more important. 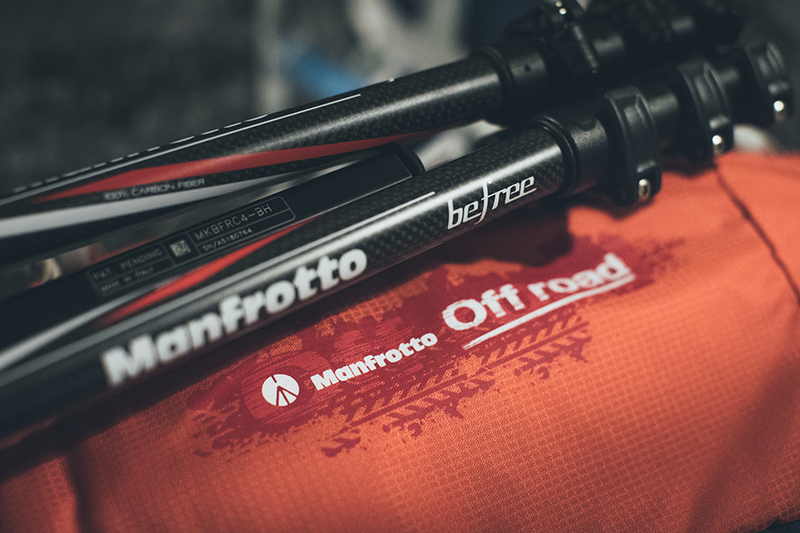 For my travel through Canada Manfrotto sent me the Befree carbon tripod which turned out to be the perfect travel companion! The tripod features carbon fiber legs that bring down the weight significantly without loosing on durability. With a weight of just 1.1 kg you won’t have any excuses left of not carrying a tripod! 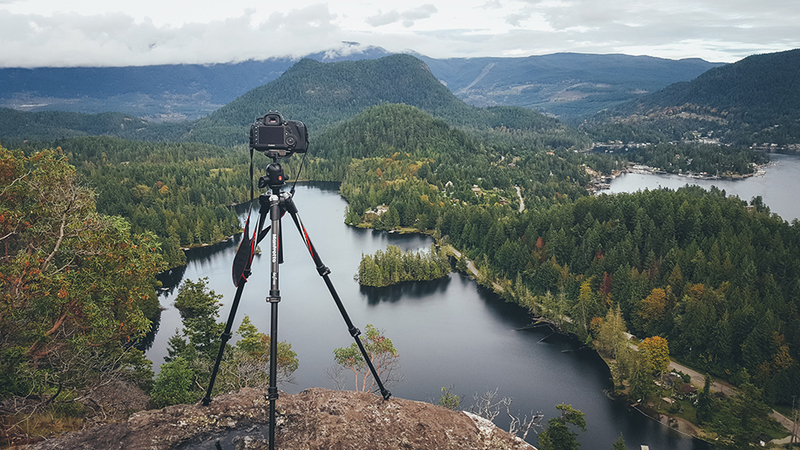 Besides being lightweight, the tripod is one of the most portable Manfrotto tripods. With a length of just about 40 cm it easily fits most backpacks and with a maximum height of 142 cm it still doesn’t affect your shooting habits! 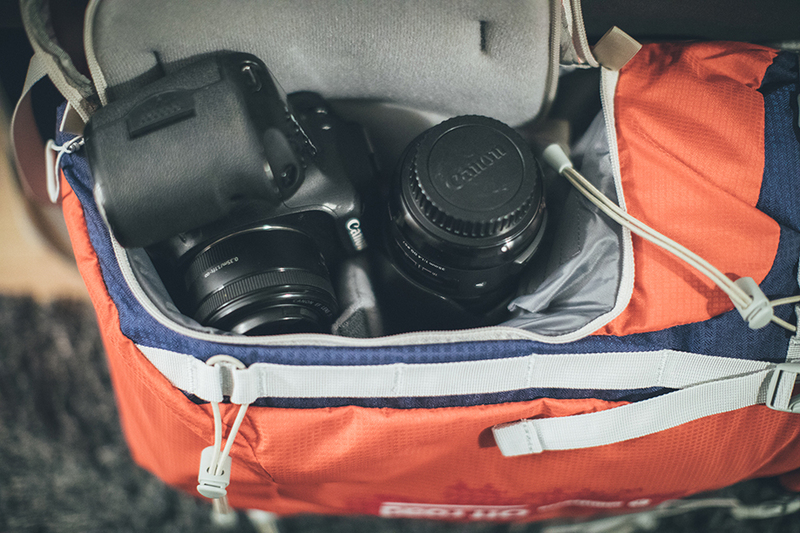 For shorter day hikes the camera bag ‘Off road Hiker 20L’ turned out to be really handy. 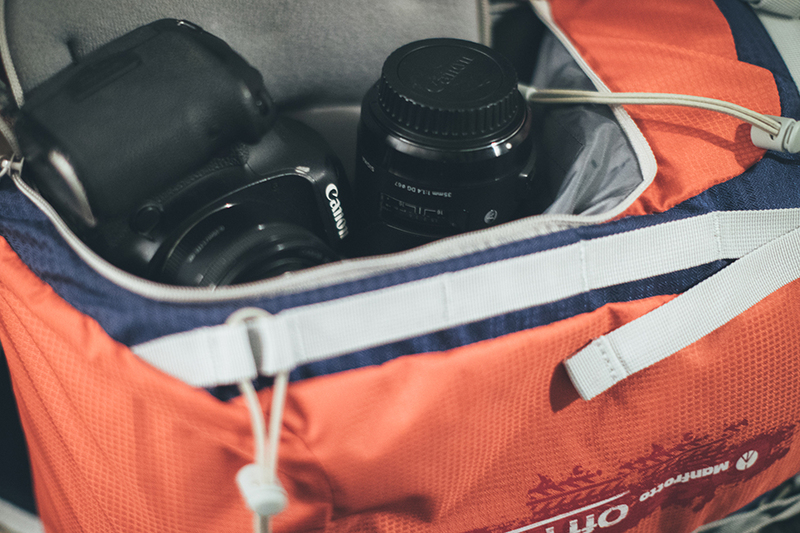 Besides enough space for water, snacks and some additional clothing it fitted my Canon EOS 5D3 with a 50mm attached and an additional 35mm lens without any problems. 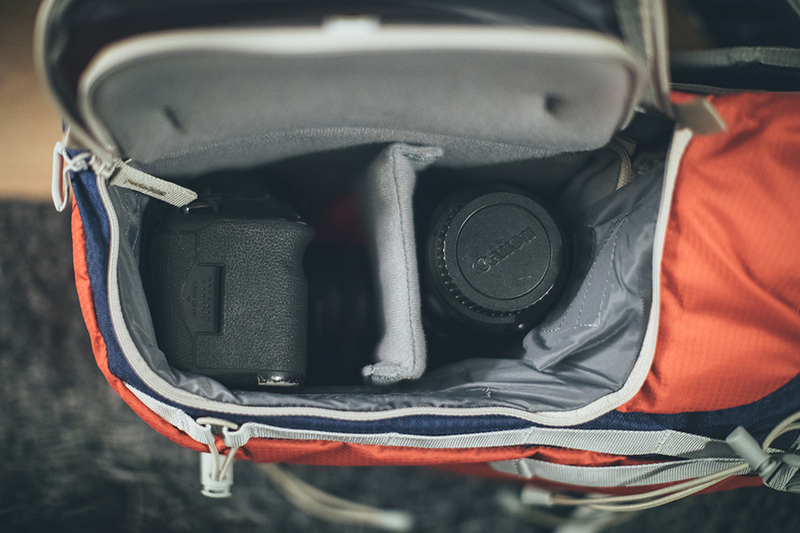 In the bottom compartment it offers easy to use interchangeable dividers which are customisable to your camera’s size. Through an external door on the side of the backpack you have easy and quick access to your camera and lenses. 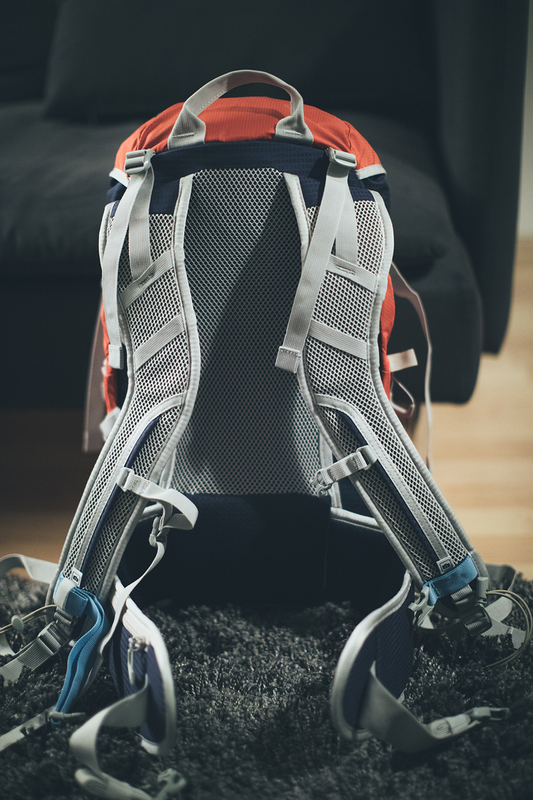 For any other gear you will find enough straps and attachment possibilities on the outside the backpack, for example a external Tripod holder. 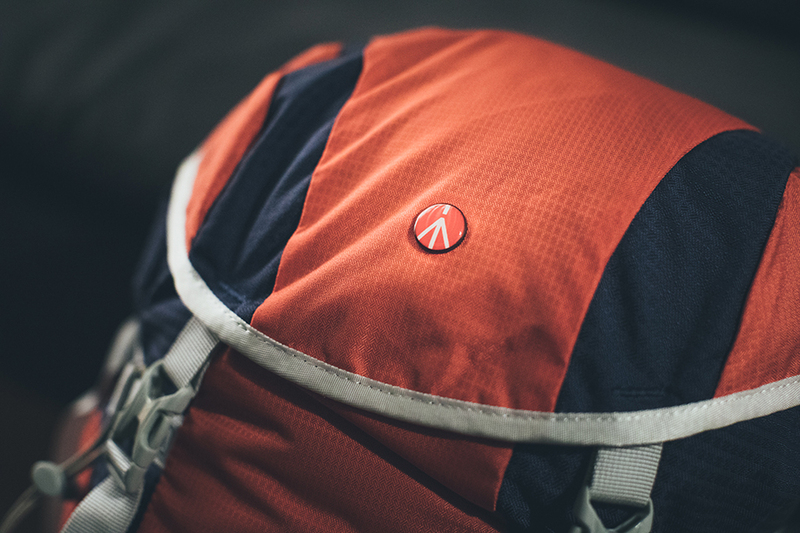 If you’re out in nature and the weather changes you don’t need to worry as the backpack features a water repellant coating to the fabric. If the rain gets worse and it’s pouring down on you fold-out the included rain protector making it absolutely waterproof. Daniel is a 26 year old self taught freelance photographer from Frankfurt, Germany. His work as a photo-creator and story-teller takes him to many remote places around the world, always reflecting his passions. Inspired by nature, his work mainly focuses on the outdoors, adventure and lifestyle. To offer a documentation of his travels on a daily basis, he started using the social media platform Instagram a year ago.